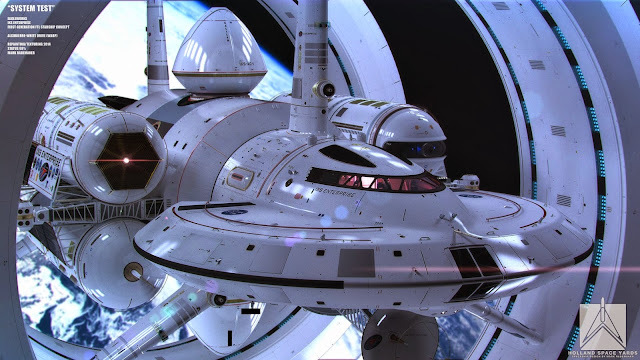 In 2010, NASA physicist Harold White shown that he and a team were working on a project for a faster-than-light ship. Now he's cooperated with an artist to create a new, more genuine design of what such a ship might really look like. Artist Mark Rademaker told io9 that he worked with White to make the restructured model, which contains a sleek ship nestled at the center of two huge rings, which create the warp bubble. In this video, below, you can see White talking about the new design (starting at 41:54), and clarifying how it fits his mathematical study. You can get more incredible images of the ship from Rademaker in his Flickr gallery.